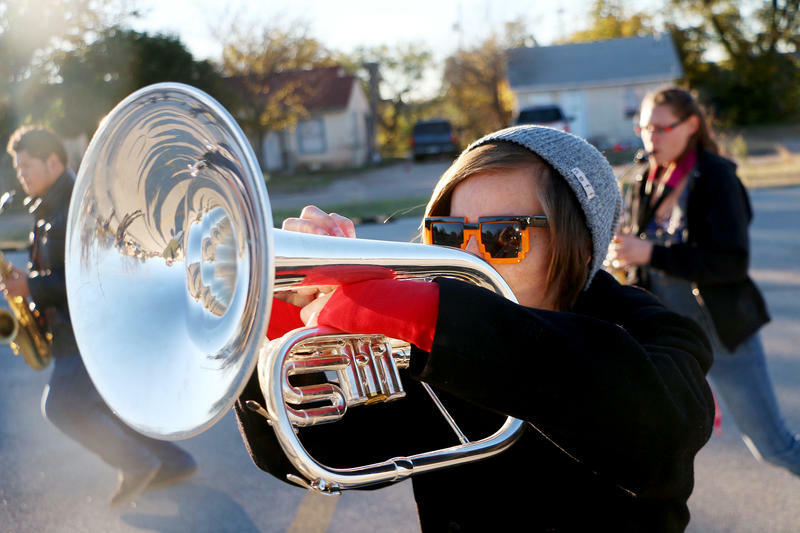 (Photo by Joy Bonala) The McMurry University Marching Band runs through a rehearsal of the New Year's Day performance on Wednesday, December 2, 2015 at McMurry University. (Photo by Joy Bonala) Director David Robinson guides the McMurry University Marching Band through a rehearsal of the New Year's Day performance on Wednesday, December 2, 2015 at McMurry University. He encouraged the band to be cheerful, energetic and dance while playing. Clarinetist Rachel Hall said high energy will come naturally because of the unique circumstances of the performance. They will face a few obstacles, mostly freezing weather and jetlag. But for Hall, it’s all worth it. 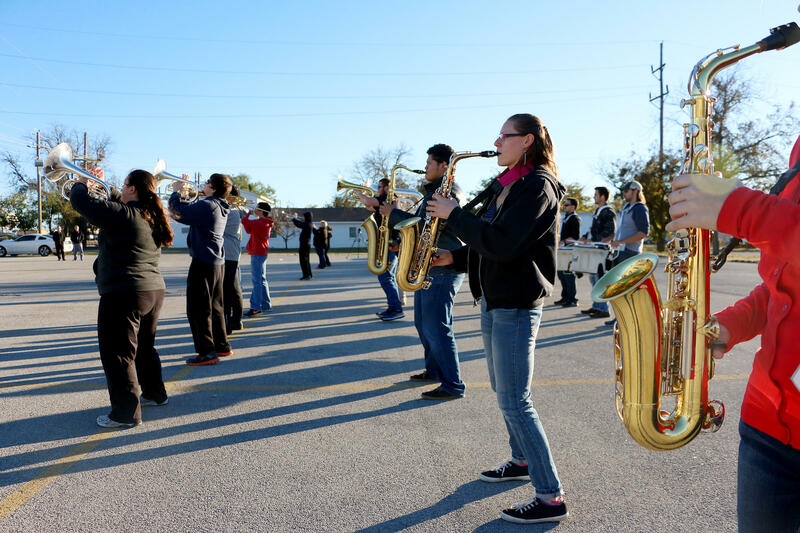 McMurry is one of two American college marching bands participating and while McMurry’s band has performed abroad before, this will be the first parade performance. 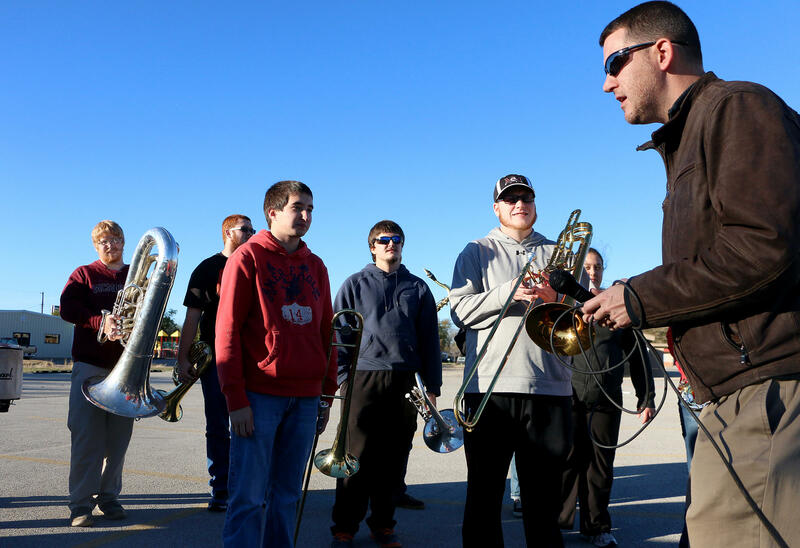 Band Director David Robinson is proud of his band’s hard work, he’s also eager for his students to experience London. Many of them have not traveled beyond the nations borders, or even state borders. “It’s a chance for a lot of people to experience life in a different way and to have a different perspective on the world,” Robinson said. Robinson traveled to London in June of this year in preparation for the New Year’s trip. He’s not going to explain cultural differences too much though, he plans to let students discover things on their own. He even suspects some of the people in London will be charmed by a group of West Texans.